ARMONK, N.Y., Dec. 4, 2017 /PRNewswire/ -- Each year, more than 200,000 enlisted U.S. military service members end their service, according to the U.S. Department of Defense. 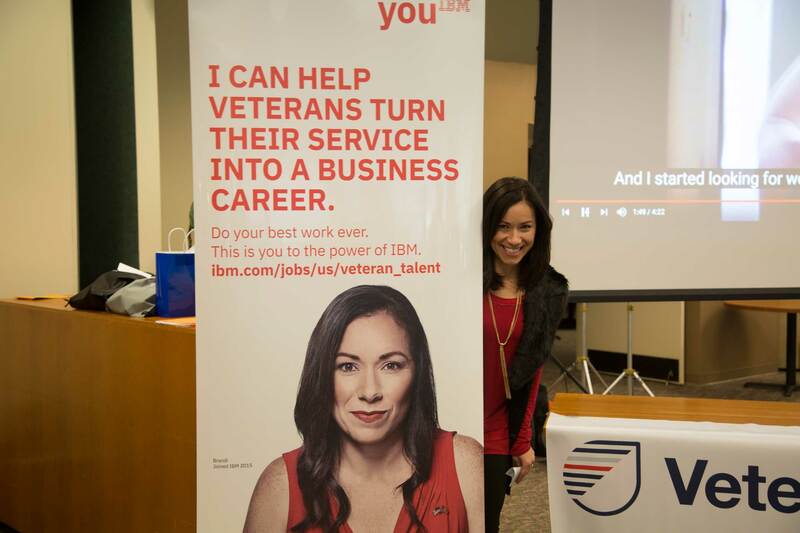 Throughout IBM's (NYSE: IBM) 106 year history, the company has helped servicemen and women transition to civilian life and has hired thousands of military veterans around the globe. 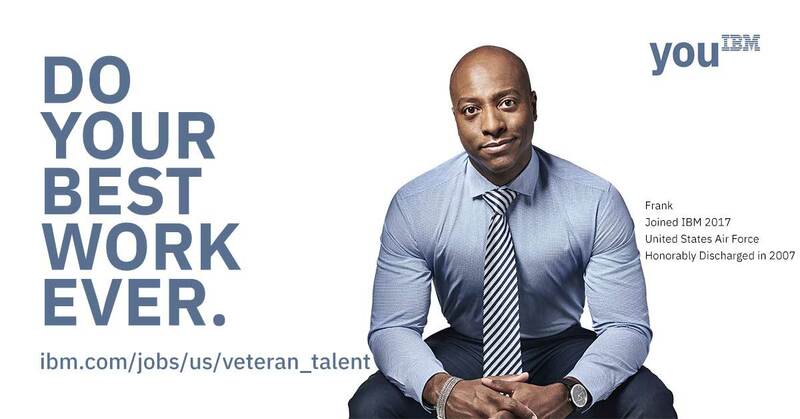 IBM is committed to hiring another 2,000 veterans in the U.S. over the next four years. 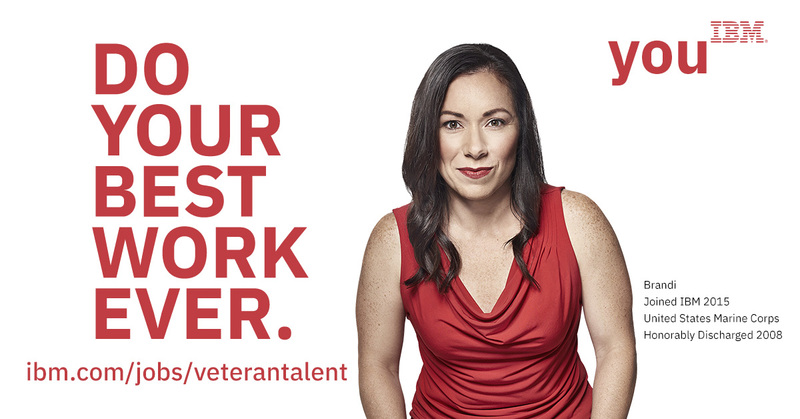 I Can Help Veterans Turn Their Service Into A Business Career. 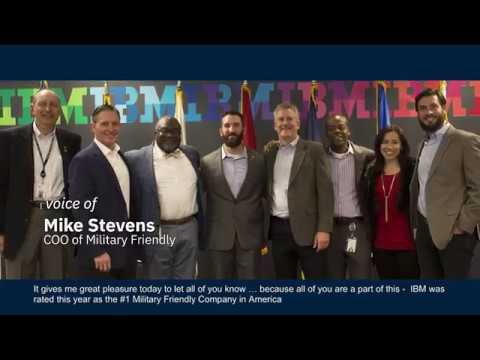 IBM's efforts were recognized by Victory Media which awarded IBM the Military Friendly® Employer of the Year Award for 2018. Victory Media - which owns and operates Military Friendly® employment, entrepreneurship and education resources, including G.I. Jobs® and Guide to Military Friendly® - has been analyzing and recognizing military- friendly employers for more than a decade. Its ratings have set the standard for businesses and colleges achieving positive employment and education outcomes for veterans and their families. "Companies that have earned this designation have exceptionally strong hiring programs and meaningful jobs for transitioning service members, veterans and spouses," said Daniel Nichols, Chief Product Officer at Victory Media. "Our Military Friendly® Employers have moved beyond answering 'why hire military?' They are truly aligning their jobs and recruiting efforts with Military Friendly® Schools to translate military competencies into civilian careers." IBM will be showcased along with other 2018 Military Friendly® Employers in the December issue of G.I. Jobs® magazine, the January 2018 issue of Military Spouse Magazine, and on MilitaryFriendly.com. To read more about IBM's commitment to veterans and the company's programs serving them, visit https://www.ibm.com/blogs/think/2017/11/veterans-ibm/ for a blog by Samuel Gordy, General Manager, US Federal and Government Industries, IBM, and a retired United States Naval officer.